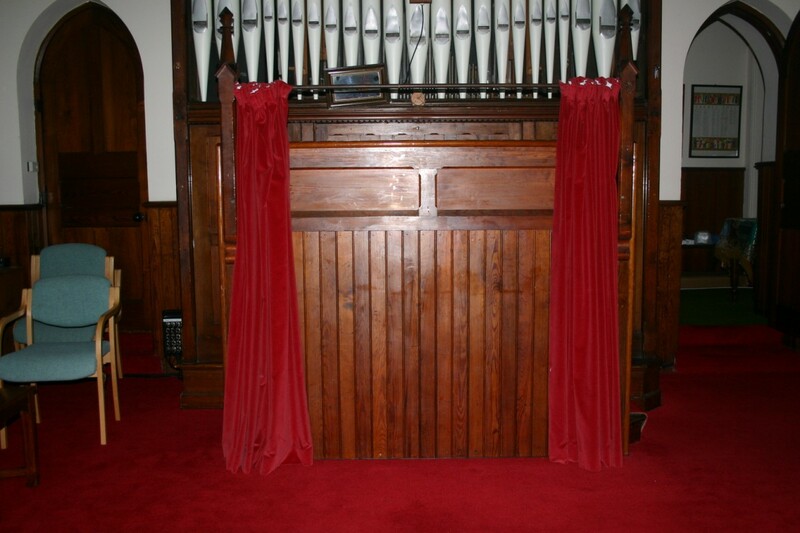 The organ was originally built around 1880 and moved to the “new” church building in 1895 or thereabouts. 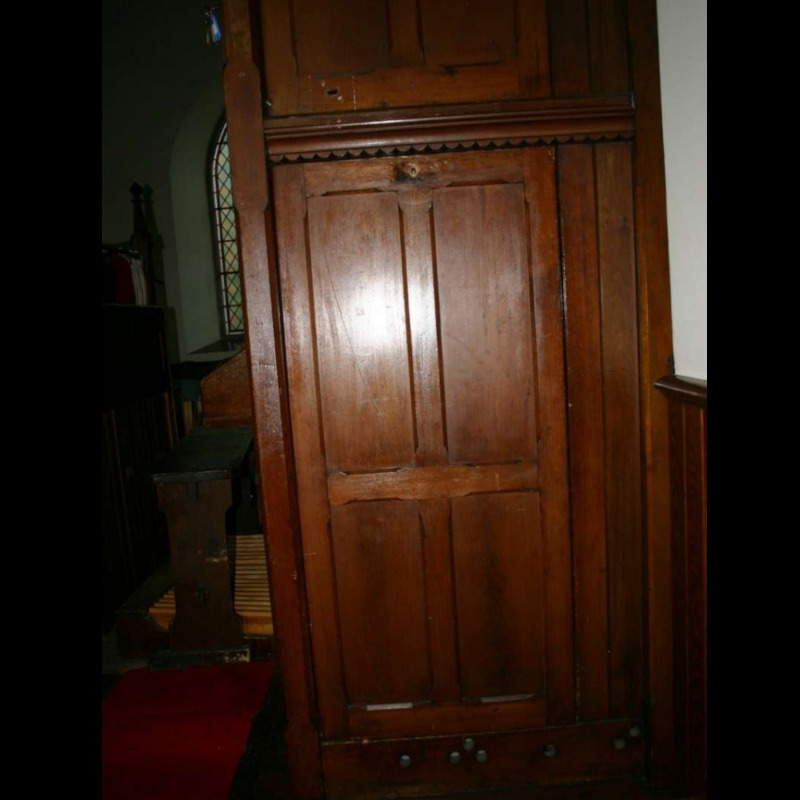 Although it has been maintained as a playing instrument with some modernisation, the casing remains much as it was originally. There is currently a screen (to hide the organist!) in front of the casing which is completely separate. The organ casing is 283 cm wide and 89 cm deep. 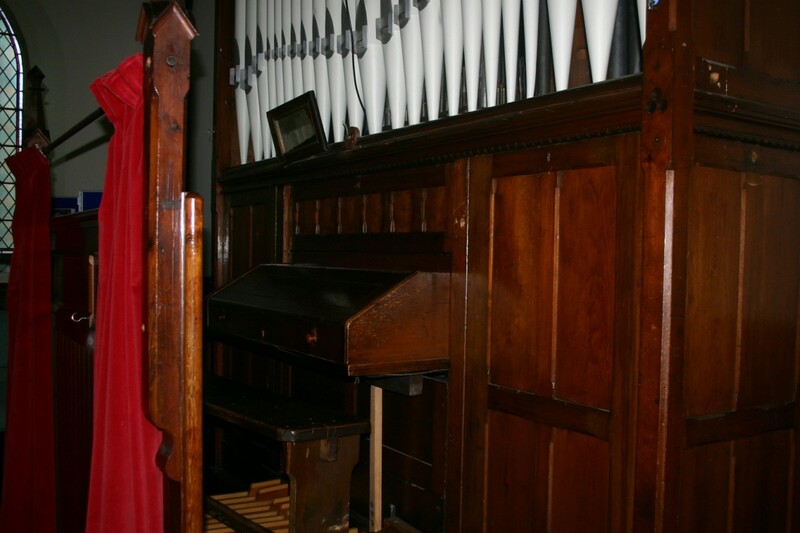 The height to the top of the finials from the organ platform is 309 cm. The pillars are 8 cm square. It is attached to a wooden platform but we do not know how it is so fastened. Each side of the casing includes two panels, one above the other - the lower ones can be removed to allow access to the pipe chamber. The front of the casing is in two levels. 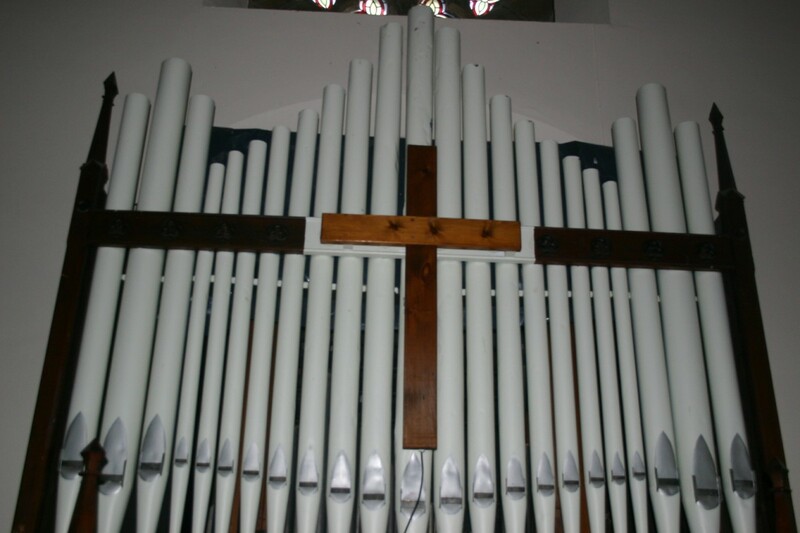 The upper layer has pipes which rest on a beam about 155 cm above the organ platform - some of these pipes are sounding pipes and they are connected to lead piping through holes in the beam. In front of these pipes there is an illuminated cross. The lower level has removable screens on either side, each of which is 65.5 cm wide and 126 cm tall. 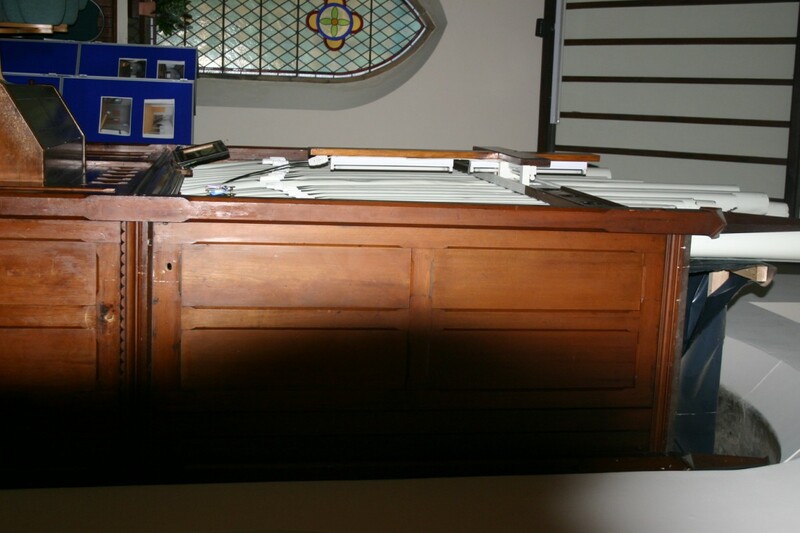 In the central section there are two panels, both removable, one above and one below the keyboard which protrudes through the gap between the upper and lower panels and carries the rods which connect the keys to the sound boards within the casing. 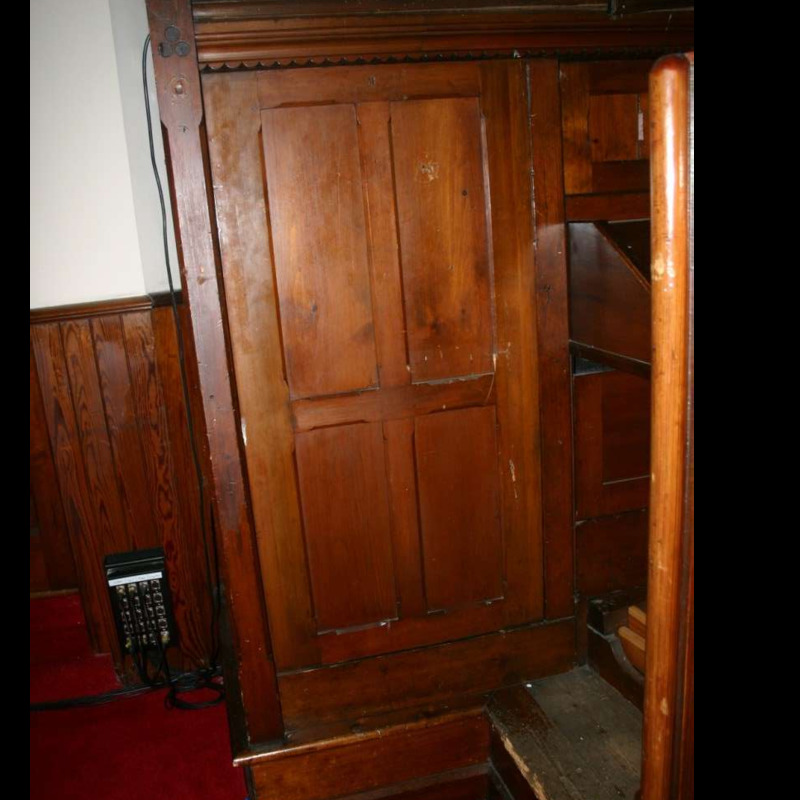 The lower panel also has a gap at the bottom through which the wooden pedals pass, again to make connection with the rods and levers which allow air to reach the wooden pipes. 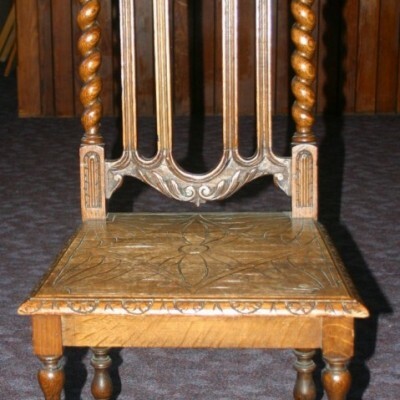 There is an wooden organ stool which is 126 cm long, 30 cm wide and 66 cm high. Within the organ casing there is a large wind-chest (which has a leak in its leather bellows), two sound boards, one for the Great manual and one for the Swell manual, a Swell box with louvred opening and one access panel and various other bits and pieces which allow the organ to function. 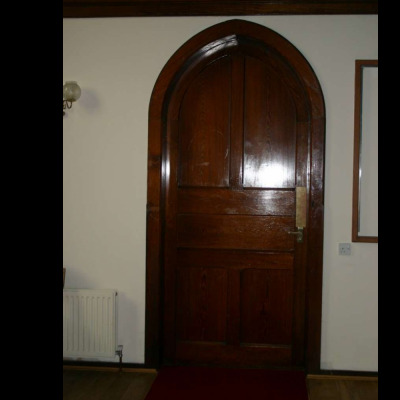 We do not imagine these are of any interest to general architectural heritage. The pipes themselves are either wood or of lead, probably alloyed with tin along with trace amounts of antimony and copper. These can all be lifted out easily and we plan to dispose of these separately. However, if the display pipes are wanted they can be included in any deal.